Whether you visit the Northeast Georgia Mountains for business or pleasure, you’ll find a wide variety of options for accommodations. These lodging choices offer room for couples, families or even weddings or business conferences. At the Best Western PLUS Riverpark Inn & Conference Center, you can experience the beauty of the Blue Ridge Mountains and the unique charms of Helen, Georgia. Walk the cobblestone streets of the Alpine village, and enjoy old-world architecture. This Bavarian-style lodge hotel offers welcoming amenities including complimentary breakfast and is within just a few miles of top attractions. You can enjoy great outdoor recreation, shopping, golf and leading area attractions like the Cabbage Patch Kids Babyland General Hospital. 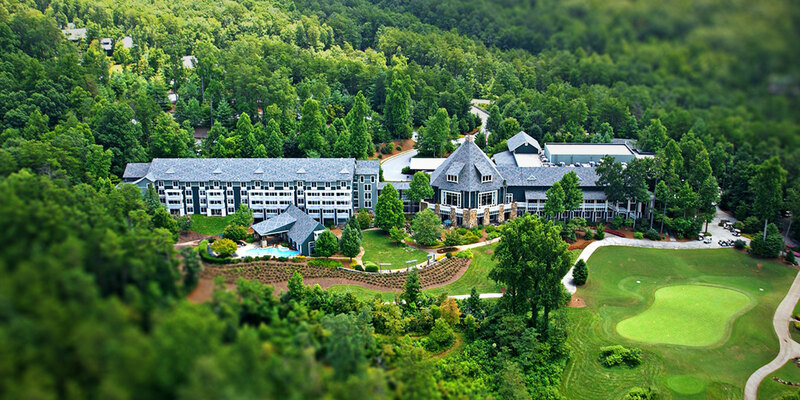 Nestled among the North Georgia Mountains, Brasstown Valley Resort & Spa quietly redefines the typical mountain getaway and it’s just two short hours from Atlanta & Chattanooga. Visit and experience exceptional accommodations and dining, championship golf, stables, a 7,500-square-foot spa and a wide range of activities for the whole family. Surrounded by nature and spoiled by all the comforts of home, you’ll find Brasstown Valley Resort & Spa more than accommodating. With 102 lodge guest rooms, 32 cottage guest rooms, and a deluxe spa suite, Brasstown Valley Resort & Spa provides guests with luxurious bedding, furniture, carpeting, wall and window coverings and updated bathrooms in a variety of lodging options. Comfort Inn-Dawsonville is located in Dawson County at the corner of Highway 400 and GA 53. The hotel is 100% non-smoking, pet friendly and enviromentally green. Accommodations include double Queen beds and single King beds with 5 suites that include whirlpool/jacuzzi tubs. Suites and Kings have 32″ flat screen TVs. There are 2 floors, but no elevator. All rooms have coffee makers, iron & ironing boards, hairdryers, micro/frig units and free WiFi. Meeting room upstairs that accommodates 20 people. Great area for the shopper, as well as the outdoor enthusiast. Originally known for romantic mountain cabin rentals in North Georgia, Forrest Hills Mountain Resort & Conference Center has quickly become a popular destination for romantic getaways, honeymoons, group retreats, corporate events, weddings and receptions. 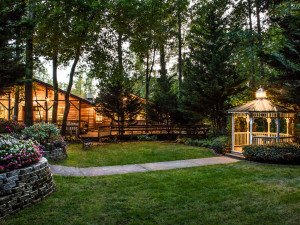 From a humble start of just 6 cabins , Forrest Hills has grown to 100 rooms plus a restaurant, day spa, horseback riding stables, meeting facilities, fitness center, two miles of walking trails, group lodges, gift shop, outdoor wedding gardens with gazebo, wedding chapel and four reception rooms! 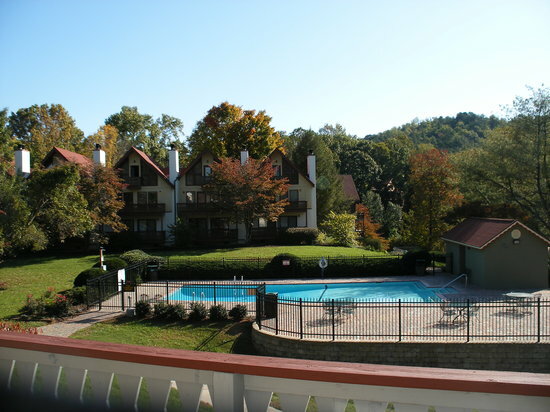 Forrest Hills Mountain Resort and Conference Center is spread out over 140 lush, wooded acres. It is Dahlonega’s largest lodging facility featuring cabin rentals, retreat and wedding guest accommodations for a combined total of 98 rooms, 7 meeting rooms, free WiFi, and enough activities on site to ensure a great time. Searching for an affordable vacation in Helen, Georgia without sacrificing luxury? Helen timeshares offer the ideal solution for families looking to get more out of their vacations for less. Timeshares offer large accommodations with all the comforts of home, plus high-end resort amenities and services! In fact, some of the best timeshares in Georgia actually reside in Helen. Stay at resorts like Loreley Resort and Alpine Crest Resort Club of Helen and enjoy easy access to local attractions like Helen Water Park, Habersham Winery, Unicoi State Park, Lake Chatuge, Innsbruck Golf Club, and much more. Additionally, Loreley Resort and Alpine Crest Resort Club of Helen offer outstanding on-site amenities to enhance your stay such as indoor and outdoor swimming pools, sports courts, fitness centers, saunas and whirlpools, and playgrounds. To rent one of these desirable timeshare properties, you’ll find SellMyTimeshareNow.com has an impressive inventory of by-owner advertised units. These rentals make it affordable for families to visit and vacation in the area while enjoying the fabulous accommodations, on-site amenities, and proximity to local hot spots. Additionally, you can purchase one of these timeshare properties for a fraction of the retail cost if you wish to vacation annually in Helen, Georgia. Choose the ownership style and accommodation size that works best for your needs, and discover ample affordable options for a lifetime of great vacations for you and your family. The Helendorf River Inn Suites & Conference Center has been closely tied to the city of Helen since the early 1970s; in fact, the Helendorf was the brainchild of Alpine Helen’s creator Pete Hodkinson and has been at the center of many of the area’s numerous events. In 1973, the Helendorf was originally built as 30 individual condominiums in a rental pool that provided a place to stay for the growing crowds coming to Helen from throughout the Southeast. The Helendorf Inn is located right next to the Festhalle, where the city of Helen celebrates Oktoberfest, Bavarian Nights of Summer, 4th of July activities, Volksmarch, the Hogpen Hill Climb Foot race and the legendary Hot Air Balloon Race. 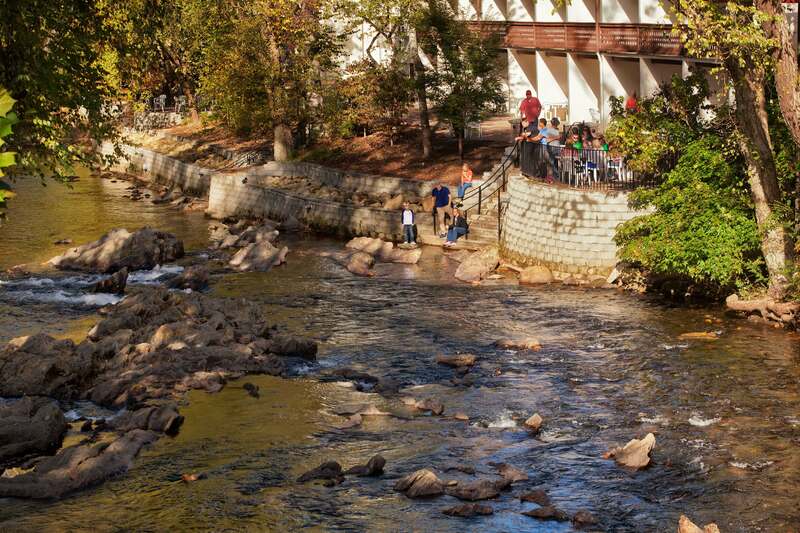 The Helendorf is set on the banks of the Chattahoochee River, so you can enjoy the sights and sounds of nature. It’s also one of few “freundliches houstier” or pet friendly hotels in Helen. In this magnificent setting, The Helendorf boasts 99 tasteful guest rooms and suites to suit every taste. The Hilton Garden Inn Gainesville hotel is conveniently located just a short drive from I-985. 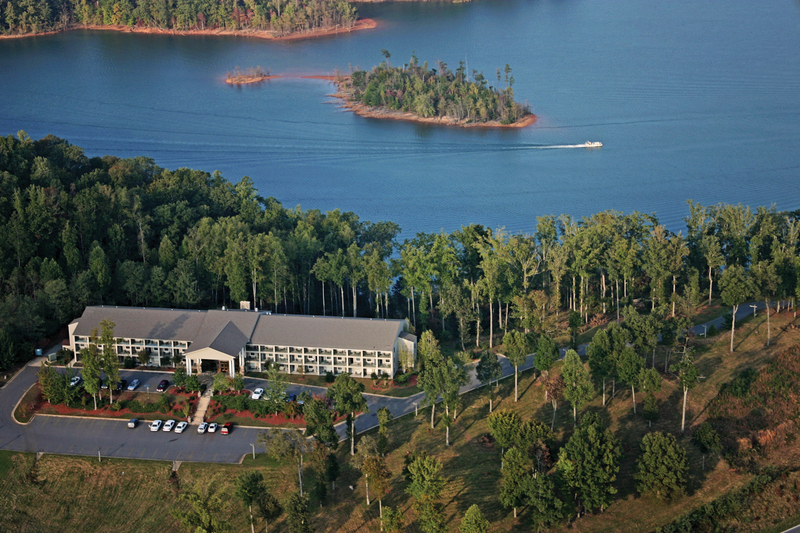 The hotel offers easy access to Lake Lanier and the Georgia Mountains Center. Make yourself at home in one of the spacious and sophisticated guest rooms and enjoy a warm welcome and southern hospitality. Host an important meeting or special event and enjoy the catering services and complimentary use of the business center. Indulge in delicious cuisine at the Great American Grill restaurant, serving breakfast and dinner. Grab a takeaway meal or snack from the 24-hour Pavilion Pantry that you can prepare with your convenient, in-room microwave or simply relax with evening room service in your comfortable guest room. 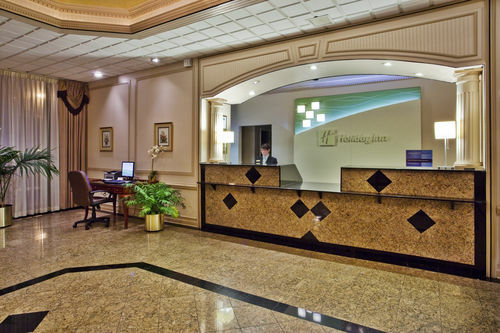 Whether you visit Gainesville for business or pleasure, you’re sure to enjoy a stay in the Holiday Inn Gainesville-Lanier Centre in the heart of the city, where the convenient location and complimentary, hot breakfast make a perfect stay. If you’re visiting Gainesville on business, you’ll appreciate the fact that the hotel is just across the street from the Georgia Mountains Convention Center and near several other Gainesville businesses, like MarJac, NE Georgia Medical Center and Lee Gilmer Airport. The hotel offers free high-speed Internet access and a business center for your convenience. The hotel also includes four flexible meeting rooms and a complimentary hot breakfast to start your day right. Leisure travelers can enjoy the beautiful scenery when visiting nearby Lake Sidney Lanier or the Northeast Georgia Mountains. Hotel guests can explore the quaint downtown, the Mall of Georgia or visit Road Atlanta while staying in the hotel. Brenau University is also conveniently located nearby. Guests are sure to enjoy amenities like the fitness center, garden pool, and an on-site restaurant and lounge that serves dinner, room service a complimentary, hot breakfast. The Lake Chatuge Lodge in Hiawassee is the perfect center for your escape to the North Georgia Mountains. It is one of the coziest and most quaint North Georgia lodges, and the staff strives to be one of the friendliest in Hiawassee. Guestroom accommodations at Lake Chatuge Lodge include 104 guestrooms, all with balconies or patios. Many rooms feature views overlooking the Blue Ridge Mountains and Lake Chatuge. The Lodge property adjoins the Georgia Mountain Fairgrounds, making it a short, pleasant walk on a trail to the concerts and fair activities held there regularly. The Lodge is also next to the beautiful Hamilton Gardens, home of the largest rhododendron garden in Georgia. The Chophouse, a delicious steak restaurant, is also next door. Located on a 35-acre mountain ridge, Paradise Hills Resort & Spa offers rustic & luxury cabin rentals, a resort spa and farm winery, all in one location. The cascading hills give each cabin rental its own sense of privacy while being within walking distance of a world-class resort spa & family farm winery. In 2014, Paradise Hills was rated one of the Top 10 Resort Inns in the World. The resort is hosted by Robert and Ilke Lander, innkeepers who are dedicated to quality service. The entire staff prides itself in the highest levels of customer service and hospitality so you can make lifelong memories at Paradise Hills. Choose from cabins with one, two, three or four bedrooms, cabins with hot tubs, pet-friendly cabins and off-resort cabins. To compliment the cabins, lodge, spa and beautiful property, Paradise Hills also offers a destination vineyard wedding venue that is affordable for all. A mountain lake resort unlike any other . . . The Ridges Resort on Lake Chatuge is proud to be a premier destination for family vacations, romantic getaways, and special events. Nestled in the natural beauty of the lower Blue Ridge Mountains, the Ridges Resort offers a scenic escape you won’t find anywhere else.